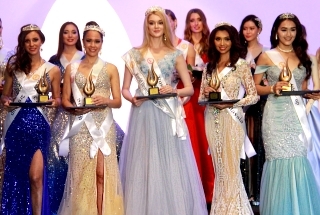 The 7th Supermodel International World Final 2017 will be held in Delhi, India! 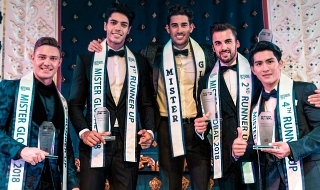 Supermodel national winners from all over the world will arrive on April 12 where they will participate in a modelling bootcamp, learn about posing for photo shoots, different techniques in catwalk; and hone their social media skills, from which they will attempt to transform from aspiring hopefuls to a “SUPERMODEL”. Judged by fashion industry experts and insiders, contestants will compete to be as the ONE AND ONLY WORLD’S SUPERMODEL. This camp will culminate into the World Final, a world class catwalk fashion show on 22nd April. The Top 15 will be announced from which the eventual winner will walk away with an international modeling contract and prizes. 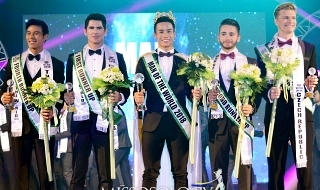 Supermodel International World Final is the world’s most prestigious model search. Since its inception, hundreds of contestants around the world have been part of the competition. The 7th Supermodel International World Final spectacular fashion TV show will be produced by the Rubaru Events & Talent Promoting Group, and distributed in India prime time on Delhi Satellite TV. The show will also be distributed in prominent fashion channels throughout Asia. Did Miss Ukraine participate in Miss Universe 2016? This sounds like another cheap "supermodel search" pageant. Missus wrote: This sounds like another cheap "supermodel search" pageant. Newly crowned, Supermodel Indonesia 2017 is Moriska Momo, 19 years old and stands 174cm, she is from Padang, Sumatera Barat, the final was held last night, she will compete in India this April. Yeah, I always thought there was something boring with Alena. She never had the attitude for Miss Universe. She could easily walk away with the crown here. Her beauty is enough to carry her. Press Conference Supermodel International Indonesia 2017 goes to India. Indonesia's National costume in supermodel international 2017. "The Elegance of Javanese Eagle Wings"
ALENA SHOULD WIN ,SHE IS THE MOST BEAUTIFTUL.